Netflix, the world's leading internet entertainment service, continues to successfully expand its original Anime programming and today, during the Anime Lineup Presentation event at Akiba Theatre in Tokyo, presented some exciting highlights for the upcoming year. Today's announcements join Netflix' ever-growing slate of Anime that has already been captivating fans around the world, including this year's series DEVILMAN crybaby or B: The Beginning. 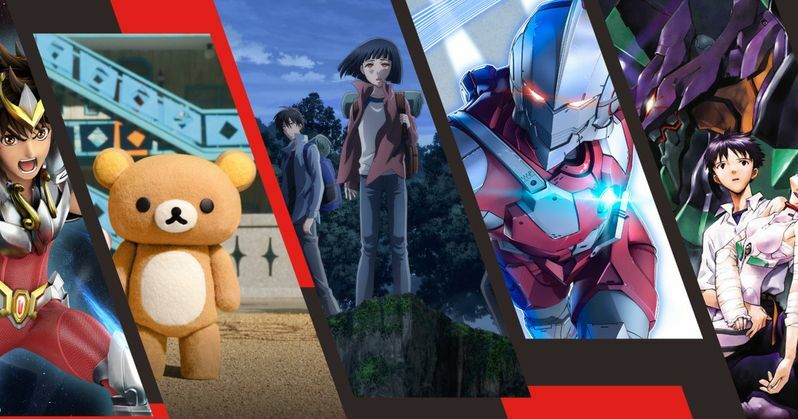 Over the course of 2019, viewers everywhere will be able to discover and enjoy even more Anime coming from some of the best creators in the word, as well as a chance to revisit some of the most beloved stories they already know and love, including Saint Seiya: Knights of the Zodiac, Ultraman or Neon Genesis Evnagelion. Rilakkuma and Kaoru. Global Launch April 19, 2019. When a woman in her thirties begins sharing her apartment with a soft toy bear that has decided to take up residence there, she finds that the secret to life is sometimes as simple as relaxing. One of the most popular characters in Japan comes to life in this stop-motion animation series. Neon Genesis Evangelion. Global Streaming Debut. Spring 2019. A.D. 2015. Tokyo 3 is under attack by powerful creatures known as the Angels. The protagonist, Shinji Ikari, is chosen to pilot the Humanoid Decisive Weapon Evangelion -- the only way for humanity to fight against the Angels. The battle for the fate of humanity starts now. What exactly are the Angels? What fate awaits the young pilots and humanity itself. Ultraman. Global Launch April 1, 2019. Several years have passed since the events of Ultraman, with the legendary "Giant of Light" (光の巨人 Hikari no Kyojin) now a memory, as it is believed he returned home after fighting the many giant aliens that invaded the Earth. Shin Hayata's son Shinjiro seems to possess a strange ability, and it is this ability, along with his father's revelation that he was Ultraman, that leads Shinjiro to battle the new aliens invading the Earth as the new Ultraman. Saint Seiya: Knights of the Zodiac. Global Launch: Summer 2019. Follows modern-day adventures of young warriors called "Knights", who are sworn protectors of the reincarnated Greek goddess Athena. Each Knight wears a powerful armor based on their chosen zodiac constellation, and are called Knights of the Zodiac. They aid Athena in her battle against powerful Olympian gods who are bent on destroying the humankind. 7Seeds. Global Launch April 2019. In the immediate future, a giant meteorite has collided with earth. All living organisms, including mankind, have been wiped off the face of the planet. The government, who had foreseen this outcome, took measures to counter the worst-case scenario called Project 7SEEDS, in which five sets of seven young men and women were carefully selected and placed into teams. Each participant sought ways to survive on a deserted island.